Are you thinking of taking a few bottles of alcohol to Australia from the UK? You may be surprised with quite high diuties and taxes. Do not take a risk and let us calculate the costs for you! Discover the rules and procedures concerning moving alcoholic beverages to OZ. Find out the duty and Per Litre of Alcohol rates. See real alcohol import costs examples for sending a couple of birs, a bottle of wine of whiskey. Are you thinking of importing or exporting a pack of bitter or lager? Would you like to ship a few bottles of wine or send a bottle of a good Scottish whiskey to OZ? I am afraid we do not have good information for you. Unfortunately sending alcohol to Australia from the UK is rather expensive. Below, you can find a lot of info on different ways of getting your favourite alcoholic beverages to the Down Under country. Can I bring alcohol for free? Luckily the Australian Government is not that bad and allows all travellers being 18 years old + to bring with them 2.25 litres of beer, gin, wine, liqueurs, brandy and other alcoholic beverages duty free. Of course 2.25 litres is the total of all alcohol you would like to take trough the border. What’s more this applies to any alcohol carried in your hand baggage. It means that the alcohol duty-free allowance concerns any alcoholic drinks and it does not matter where you have got if from. Also there is no need to provide any proves of purchase - receipts or invoices. So it does not matter whether you are bringing a bottle of Original Russian Vodka purchased in Russia or a bottle of wine from France you can carry it with you with no fear of your beer, tequila or brandy will be taxed or confiscated. One more good thing is that relatives traveling together can combine their beer, wine and spirits duty-free concession. If you traveling bodies do not drink you may consider yourself a very lucky person. Unfortunately most airlines do not allow carrying such amount of liquid in your hand baggage. Most often you will not be allowed to carry through the security gate any alcoholic liquids in excess of 100 ml. It is advisable to check the amount of liquid you can carry with your airline and check individual airport regulations. Another option is to get some alcohol from the duty-free shop once you have arrived in OZ. Please keep in mind that if you try to bring more than 2.25l of alcohol without declaring it the duty and extra taxes will apply to all your alcohol products and not just to the part which is over the limit. If you are bringing more alcohol drinks, exciding 2.25l duty free allowance make sure you let the customs know about it. Do not forget you will need a receipt or an invoice to prove where from and when you have acquired your liquids. Tags – What’s the alcohol duty free concession / allowance for importing alcoholic beverages from the UK. Unfortunately from the 1st of October 2008 the tax concession for alcoholic drinks sent as a gift has been withdrawn. The main change is that the duty, taxes and other customs’ costs are to be paid by the receiver. 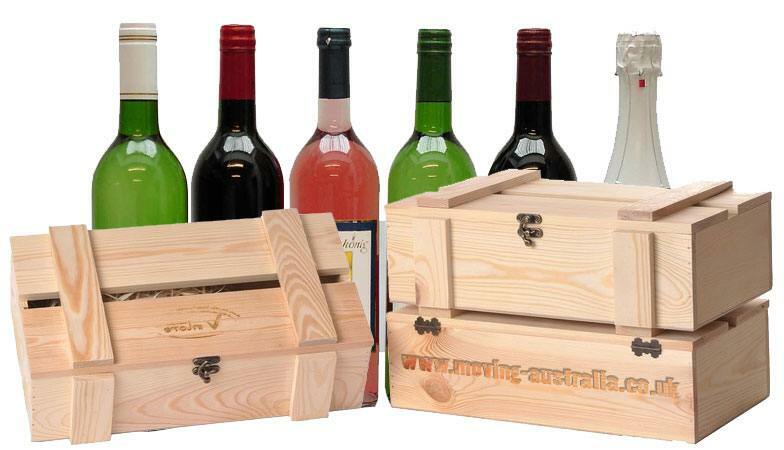 So be very careful when sending alcohol as a gift to OZ as your friend or a family member may get quite a high invoice from the Australia Customs and Border Protection Agency. The gift items will not be delivered until the duty and tax charges have been paid. 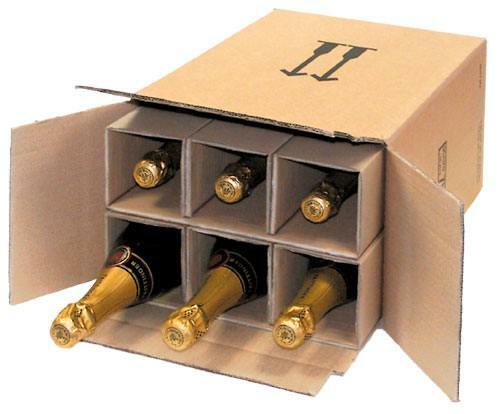 The alcohol can be send to you by air freight or as a sea shipping package. You can also buy it online and get it shipped to you by international mail – UK Royal Mail - POST. You can also use UPS, FedEx or DHL. It does not matter how much your alcoholic drinks are worth you have to declare them and pay taxes. There are 2 factors that determine the way your beer, wine, vodka and other spirits are cleared for sending to the final address. Those factors are the value and the way the alcohol have been shipped to OZ. All alcoholic drinks imported that value is less than A$1000 do not need filing out the self-assessment clearance form. The Customs Officers will do it for you. An invoice, including the breakdown of taxes, charges and rates will be posted to you. Once you have cleared the invoice your goods will be delivered to you. For all wine, beer, whiskey and other alcohol with a total value not exciding A$1000 you will need to fill out the self-assessment declaration documents. If the alcohol you want to bring to Australia exceeds the value of A$1000 you will have to make an import declaration. This refers to alcohols sent by all means of transport – post, air and sea. If you are shipping goods based on the Personal Importation Scheme and your shipment contains beer, vodka, gin, whiskey, rum, cognac, liqueurs, champagne and other spirits and alcoholic beverages the duty, tax and other charges have to paid on those alcoholic products. What’s alcohol self-assessed declaration? - It is a self-assessed clearance declaration called in short SAC. It can be only filled out through the official Customs Integrated System. The alcohol self-assessment declaration can be filled out online. You can also download a specially designed application and install it on your computer. Please note that filling out the alcoholic drinks self-assessed declaration require a lot of knowledge. 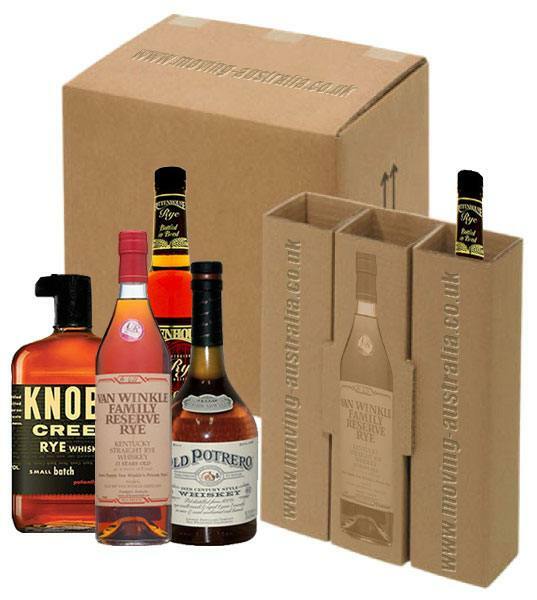 You need to know what tax rates correspond to the type of alcohol you are shipping. 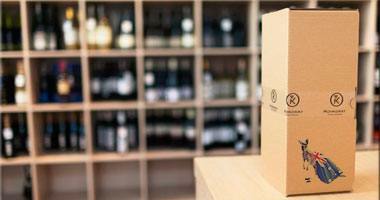 If you are sending larger quantities of wine, beer, brandy or other spirits it should consider using a customs broker. You can fill out appropriate documents and bring them to the Taxation Office in person. You can use the online service. However first you will have to buy a digital certificate and open an account in Integrated Cargo Systems. You can use and custom broker. How much to ship a bottle of wine? Most wines are taxed based on the 29% rate and some on the percentage rate plus fixed rate per litter. The wine percentage taxation method is called Wine Equalisation Tax in short WET. So how much it is to send a bottle of wine from the UK to Australia or to send it as a gift to a friend? Let's do a quick cost calculation example. Please be aware that some wine and products made of wine or containing wine may be a subject to higher Duty Rate for example: 5% Duty rate + $78,44 per litre of the alcoholic drink. Importing beer to Australia is a bit more expensive than bringing wine. However if you beer is shipped in one container, its alcoholic strength is less than 1,5% and the total amount of beer does not exceed 48 litres you can send it duty free. However beers with more than 1,5% up to 3,0% can be shipped at 0% duty + $39,75 per each litter. Beers over 3,0% up to 3.5% will have 0% duty rate + $46,30 per each litre of beer. It is a bit cheaper when you want to ship large amount of beer. For instance importing beer in a single container with more than 48 litres you will pay 0% duty + $7,94 if the strength is between 1,5% and 3,0%. Beer above 3,0% up to 3,5% will have 0% duty rate and $24,90 per litre. Now you know the answer to the following question – Is it cheap or expensive to import a few bottles of wine, whiskey or vodka? All the info provided above is to the best of our knowledge. We do not take any responsibility for the accuracy and topicality of the info and rates. Please take it as guidance only. For accurate rates and alcohol moving prices please contact us directly for an individual quote. Cheap shipping to Australia from the UK.